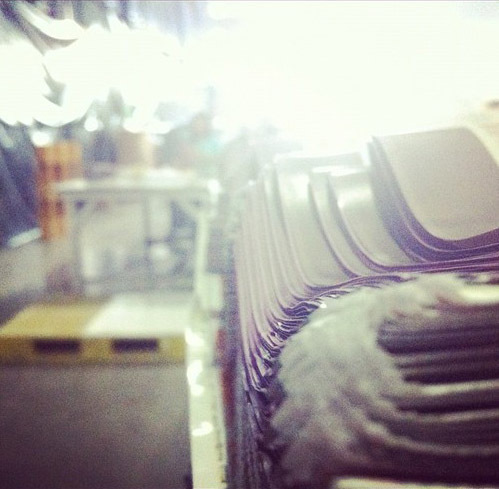 The smell of printed paper and freshly poured ink permeate the warehouse. The machines buzzing noisily echoes around the walls. We were on an intense race to reach our delivery commitment the past few days and everyone is on their toes. The environment was tense. It had started yesterday. Phone call after phone call. It never seemed to end. All I could keep thinking was, I just wanted it to be over. There's one more day to go this week and if I had not written that post last Sunday, I don't know where I'd be as of this moment. But all is grace. He is faithful in His silent whisperings. Reminders nudge deep inside the heart where the clamor of problems that need for solutions reverberate. I don't know how long I can last an environment like this. But grace helped me rise above what I felt was an impossible situation and deal with it. It burns, oh how it does. When questions are not answered and when people pass their own questions to you--it feels like an infinite debate. There's that relentless struggle to "perform". And yet holding on to grace helps me escape the condemnation of pointing fingers that's been a habit of many during times like these. It's hard for grace to exist in an industrial setting. I wish it weren't. But somehow today, as I come face to face with my own helplessness over this situation, I find my way to grace. I have to. There is no other way to overcome.